I've been a fan of author C.J. 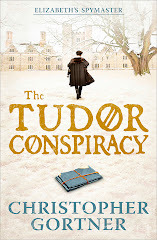 Sansom since he published his debut historical mystery, DISSOLUTION, introducing readers to the lawyer, Matthew Shardlake, who struggles to retain his sense of faith and honor in midst of the upheaval and corruption of the latter years of Henry VIII's reign. I was therefore honored when his publicist approached me to read his literary debut, the international bestseller, WINTER IN MADRID, and feature a guest post by Mr Sansom here on Historical Boys. Set in 1940, Sansom's novel is an unforgettable amalgam: part war-time thriller, part epic love story, and an unflinching look at the savage consequences of war. Harry Brett, a survivor of the defeat at Dunkirk, is recruited by British intelligence during the worst of Hitler's bombings on London to travel to Spain to spy on Sandy Forsyth, a former school companion-turned-shady-businessman. Brett has been to Spain before, with his idealist Communist friend, Bernie, now missing for three years, allegedly killed on the bloody battlefield of Jarama. As Brett finds himself caught up in the intrigue, deprivations and corruption of Franco's nascent fascist Spain, he befriends Bernie's former lover, Barbara, an ex-Red Cross nurse now involved with Forsyth but still haunted by Bernie's disappearance, as well as an impoverished Spanish family reeling from the effects of the Civil War. And as Harry Brett begins to unravel the secrets behind Sandy's business dealings, he comes face-to-face with the ghosts of the past and the bitter fruits of the present. Mr Sansom's meticulous eye for detail, his powers of description, and humanity as a writer shine through in this compelling tale of a country crumbling in the grips of fascism and of the impossible choices we make to save those we love. His rendering of Madrid itself, decimated by one of the 20th century's most brutal conflicts, is mesmerizing; clinging to its vestiges of elegance and promise even as Franco paralyzes Spain in a relentless vise of fear, poverty, and oppression. On the 1st of April 1939 the Spanish Civil War ended. During three years of warfare the elected Republican government had fought the forces of General Franco and the German and Italian units sent by Hitler and Mussolini to aid him. In the absence of help from Britain and France, the Republic had been forced to turn to the Soviet Union for aid, Stalin's price being greatly enhanced power for the small Spanish Communist party. The Republic had been gradually beaten back into a smaller and smaller area, and after the fall of Catalonia it finally surrendered. There is a photograph of the Republic's last leader, Julián Besteiro, broadcasting the surrender, grave faced, in a badly lit room. He died in one of Franco's jails a year later. 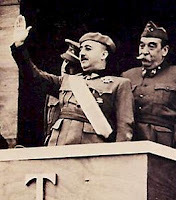 Franco's forces entered the third of Spain still under Republican control, including Madrid. 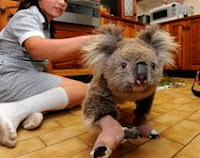 The war had been ferocious, and had left innumerable orphaned children. Many adults had fallen on the battlefield, others had been victims of air raids or of the terror waged against civilian political opponents by both sides. Now, with Franco's victory, the bloodshed did not cease. As victor, his policy was to "cleanse" Spain of remaining Republican activists; that meant the execution of thousands and the imprisonment, often in concentration camps, of thousands more. Children would come home to find their parents had been taken away by the police and they were left helpless and alone. Spain in the 1940s was utterly impoverished. Much of the country's infrastructure had been wrecked in the war, social dislocation was enormous, there were a succession of bad harvests and Franco's administration was corrupt and chaotic. Observers in Spanish cities reported the many children, often sick or crippled, hawking cigarettes and begging in the streets, or living rough in feral gangs.The government's response to the problem was to bring in the Spanish Catholic church, which historically held great power and had had a virtual monopoly of schools and orphanages. With the exception of the Basque country, the church throughout Spain had been entirely on the side of Franco's rebels. In one way that is not surprising, for the Republican government had been strongly opposed to the historic power of the church and had turned a blind eye to many church burnings, while on the outbreak of the Civil War in 1936 there had been atrocities against priests and nuns on the Republican side. Even so, the unquestioning support given to Franco's violent and vengeful regime not only during the Civil War but after his victory, cannot fail to disturb. This is the background against which many Spanish children, both during and aft er the Civil War, were rounded up and sent to church orphanages. There is a photograph in Antony Beevor's The Battle for Spain of a group of frightened looking Spanish children, the oldest no more than twelve, being trained to give the Fascist salute below a series of nightmarish posters of communistic ogres threatening helpless children. The orphanages were determined to reverse any liberal, left-wing or irreligious ideas the children may have picked up from their parents, and indoctrination was intense. Children who had been given names like Ivan or Rousseau forced to take new ones. It was a hard time and a harsh regime and no quarter was given to nonconformists of any kind, certainly not by a church determined the children in its care would draw up as good Catholics and good Francoists. Many, though not all, of the orphanages were brutal places.Some of the older street children were doubtless smart enough to conform outwardly with the political and religious indoctrination for the sake of the limited food -- outside, many in Spain were on the verge of starvation -- and for a roof over their heads, no matter how spartan the orphanages. Some, especially perhaps those whose parents had been victims of red rather than blue terror, would have accepted faith in God and Franco. But for the many traumatised by the war and the loss of their parents, there would have been little if any comfort. That first generation of children lost their parents between 1936, when the war began, and around 1941 when the Francoist "cleansing" had claimed most of its desired victims. They would have left their orphanages later in the hard decade of the 1940s. Whatever the economic status of their parents before the war, and most would have been poor, their children would have been cast out with little skills into a poverty-stricken dictatorship; those with a Republican family background would have been known to the police and under particular pressure to conform. Most would have done so, outwardly at least, for being a dissident in a ruthless police state, whether of left or right, takes more courage and obstinacy than people living comfortably in democracies can realise. Most would have survived to see life become a little less frugal in the sixties, and to witness the "Francoist" regime and its warped and archaic ideology vanish almost overnight after Franco's death in 1975. Even so, many who had been in power under Franco remained in place in the early years of democratic Spain, and even now many older people are reluctant, or afraid, to discuss the past. However, now that Spain has passed the Law of Historic Memory and acknowledged the cruelties done between 1936 and 1975, the sufferings of Franco's orphans are at last being recognised and discussed. I hope that may be some comfort to the elderly survivors of the Civil War years and of the años de hambre, the years of hunger, in the 1940s. 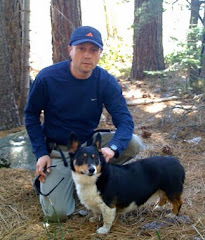 A former lawyer, C. J. Sansom now writes full time. He holds a Ph.D. in history and is the author of Dissolution, Dark Fire, Sovereign and Revelation in the Matthew Shardlake series. 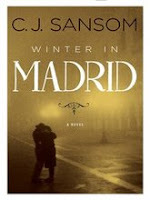 Winter in Madrid was a major bestseller in England and is being published in twelve countries. Sansom lives in Brighton, England. My thoughts and prayers are with Australia, as the people and wildlife there face the most devastating wildfires in the nation's history. The loss of life, both human and animal, is truly heartbreaking, with an estimated 200 people missing or dead and over a million animals lost. As a long-time conservationist and animal rights activist, I am personally outraged by Sarah Palin's ongoing attack on wolves and other wildlife in Alaska via her savage aerial hunting program. Naturalists and renowned conservationists from all over the country have denounced this program as unethical, inhumane and unnecessary. So far this year, Palin's program has slaughtered 67 wolves, with over 600 more targeted. She also wants to expand the program to include the killing of black bear sows and their cubs. Please join actress Ashley Judd, Defenders of Wildlife and myself in opposing this violent assault on defenseless animals - a practice that Alaskan voters have twice voted against and Palin has overturned. You can sign the petition to stop the program and support Defender's efforts via the link below for Eye on Palin. New month, new book! 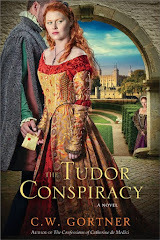 My friend and fellow historical novelist Sandra Worth recently published her second historical novel with NAL, Penguin. THE KING'S DAUGHTER is the untold account of Elizabeth of York, whose dynastic union with Henry VII founded the Tudor dynasty and b rought an end to the bloody York-Lancaster conflict known as the War of the Roses. 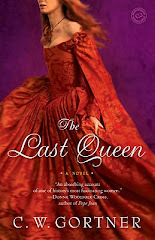 Sumptuous and elegantly written, Elizabeth comes to life in this tale of intrigue, betrayal, passion and sacrifice; while the Tudors have been very well covered in fiction, Elizabeth remains a shadowy figure, largely passed over for her more glamorous counterparts; and Sandra has unearthed a wealth of research in order to portray this valiant queen and her importance in history. Please join me in giving a warm welcome to Sandra Worth! First, thank you, Christopher, for hosting me again on Historical Boys! 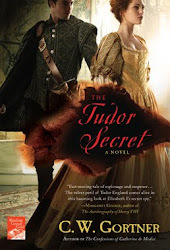 The last time I posted was for LADY OF THE ROSES, my novel on John Lord Montagu and his beloved Isobel— lovers who bear a remarkable resemblance to Shakespeare’s Romeo and Juliet. But unlike their fictional counterparts, John and Isobel’s love affair ended happily, and they did marry and have children together—lucky for us! I say that because they’re the direct medieval ancestors of both FDR and Churchill, who saved our world from Hitler’s tyranny. In this way, they’ve touched us all intimately, whether we know it or not—and just a few days ago, to my great delight, I was honored to learn that they touched a chord with reviewers as well. LADY OF THE ROSES was awarded the 2008 CataNetwork Reviewers Choice Award as one of the best books reviewed by Single Titles last year! This brings my total number of awards to thirteen, but it’s my first for LADY OF THE ROSES, and I’m very happy—not only for myself, but also for John and Isobel, whose dramatic life story has never been told before. But I digress. 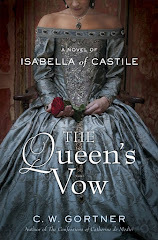 My invitation here is to talk about my latest novel, THE KING’S DAUGHTER: A NOVEL OF THE FIRST TUDOR QUEEN, so let me plunge right into the heart of the thing. 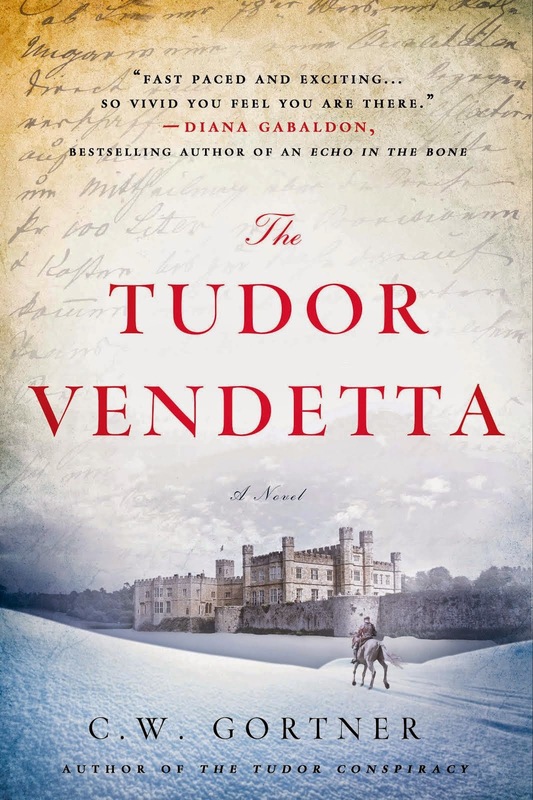 The infamous Tudors are a well-known family, and reams have been written about Henry VIII, Anne Boleyn, Catherine Howard, Bloody Mary, and Elizabeth I, et al. But the first Tudor queen, Elizabeth of York, “Elizabeth the Good,” is neither well-known nor infamous. In fact she remains a mystery. Five hundred years later, the smattering of facts on her would be hard-pressed to fill a page or two. There is only one biography, and the author, by her own admission, was forced for dearth of information to resort to novelistic techniques. Some of you are familiar with Elizabeth of York from the last book of my ROSE OF YORK trilogy, where she made a cameo appearance and closed out the book in an epilogue. Frankly, I didn’t think there was much more to relate about her, and certainly I had no thoughts of writing a book on her life. When I was picked up by Penguin for LADY OF THE ROSES in a two book deal, I had to make a decision on the subject of my next book, and something her biographer said resonated with me. That she “brought hope to those in despair, comfort to those in pain, and restraint to those in power.” If there’s one thing I admire, it’s integrity, and this was a woman of great compassion and integrity. Hoping to learn more, I perused every major account of Henry VII’s reign—Gairdner, Storey, Temperley, Simons, Griffiths, Bacon, Chrimes, Lockyer—to mention a few. And always I came across references to Elizabeth as “invisible,” holding a “shadow” court, where access was near “impossible” to attain. When she was seen in public, it was always with her mother-in-law at her side—usually dressed exactly like Elizabeth! Francis Bacon reports that her mother, Bess Woodville, thought her daughter “not advanced but depressed,” meaning she considered Elizabeth not a true queen, but a puppet. I was intrigued. How could this be? Why was so little known about her when so much is known about her son, Henry VIII, her husband Henry VII, and even her mother-in-law, Margaret Beaufort? It was a mystery, and in the course of unraveling it, I found my answers. Gathering them together, they make quite a story of greed, lust, ambition, betrayal, and blood –altogether a very dramatic life indeed! For example, Tudor propaganda has always claimed that Richard III murdered her brothers, the Princes in the Tower—but did he? Was Elizabeth in love with her uncle, Richard III? 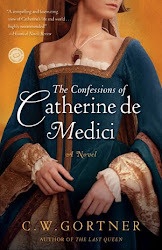 Did the Tudors keep her captive, and why should she be a threat to them? Did she b elieve the Pretender, Perkin Warbeck, was really her lost brother, the younger prince in the Tower, Richard Duke of York? Was Henry VII in love with the Pretender’s wife, and what was behind his incredibly brutal treatment of the young man? In my novel, crafted in long discussions with a Ph.D. medievalist friend, and based in part on Ann Wroe’s THE PERFECT PRINCE, Elizabeth reveals her shocking story, from her turbulent childhood during the Wars of the Roses to her reluctant, but courageous, marriage to Henry Tudor that made the Tudor dynasty. 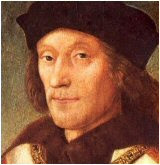 Historians agree that she exercised much influence over her Henry VII for good, since, after she died, his character began to degenerate and his actions grew more violent, debased and vile. Through these thousands of pages of academic texts, like her biographer I had a sense of Elizabeth hovering behind Henry, gently advising him, restraining his hand when she could, and praying for him when she couldn’t. And as I wrote this book, I have to tell you—Elizabeth won my heart, too. I turn her over to you with affection, admiration, and deep respect for her great courage, compassion, faith and sacrifice. I hope you'll find THE KING’S DAUGHTER worth reading (excuse the pun! ).